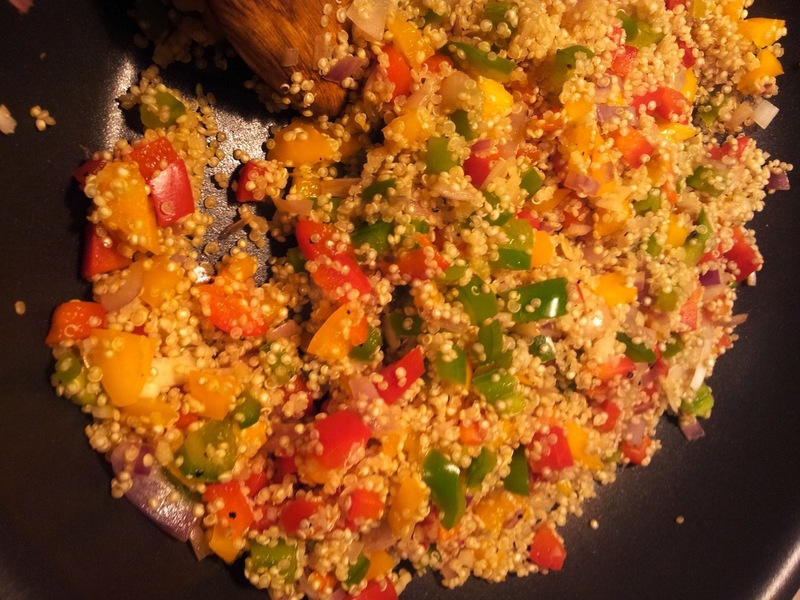 Colourful Quinoa Salad, Awards and GIVEAWAY!! 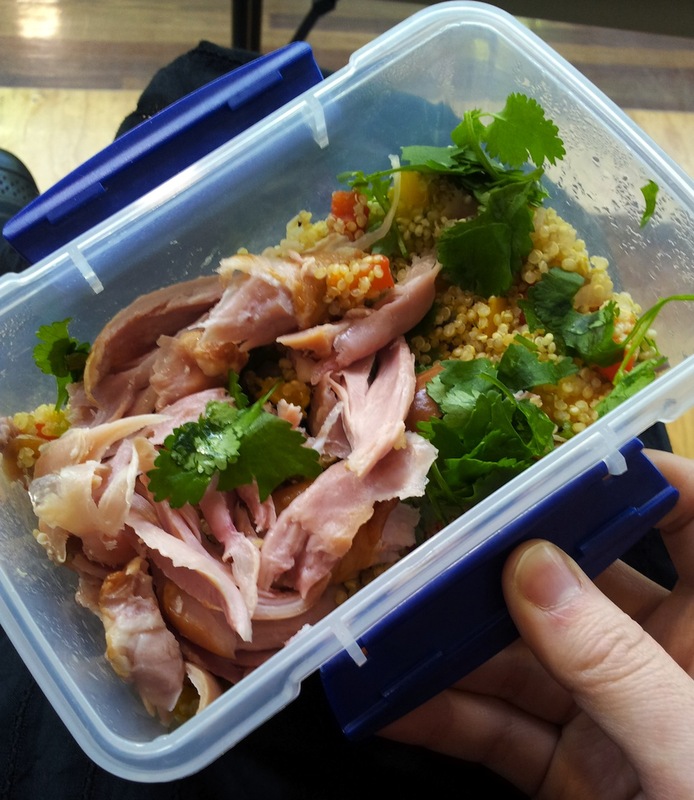 At first my plans for this post was to write about a lovely little gem of a cafe that I found last weekend however, after being inspired by Wade‘s quinoa salad in MasterChef’s homecooking challenge an episode or so ago, I thought I would try using quinoa for the first time… the results were amazing! 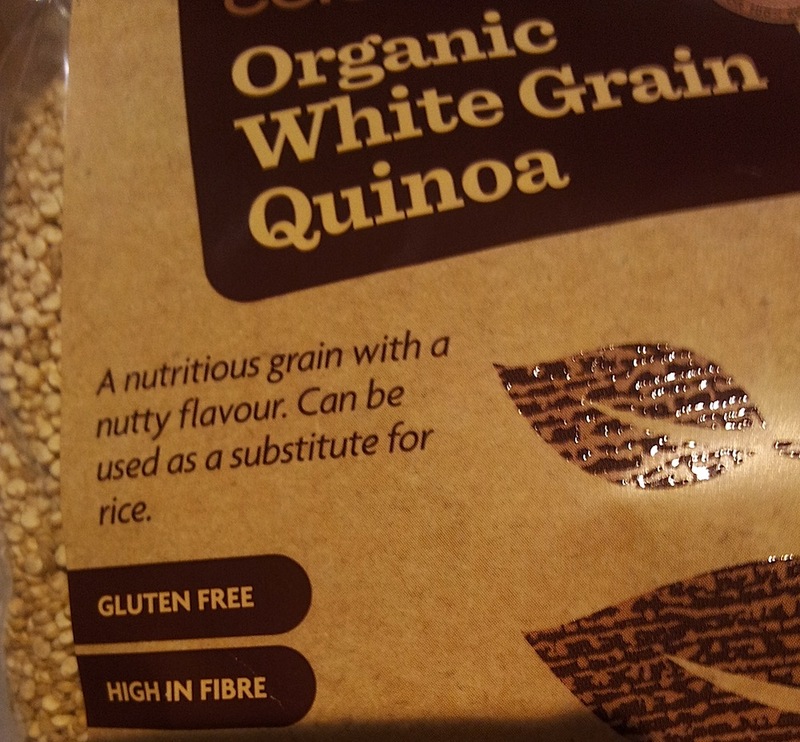 Quinoa (pronounced keen-wa) is the seed of a Central American grass but looks like a grain (a bit like burghul or cracked wheat). Some of you would have already seen some of the process on Instagram but here is what I ended up putting together. It’s very easy and very yummy! Bring the water to the boil and add quinoa. Cook at a rolling boil for about 5 minutes, drain and rinse the quinoa under cold water. Drain again and allow to cool. Meanwhile, melt the butter in a fry pan. Once the pan is heated, fry onion for a minute, then add garlic. Toss around for a bit before adding in the capsicum. Stir fry until onions are transparent. Season with salt and pepper to taste. Add the quinoa, heat through. Before serving, toss through the pistachios and coriander and season to taste. I had mine for lunch with strips of smoked chicken… YUMMO! SERIOUSLY AMAZING! I had nearly eaten half of it before I realised that I’d forgotten to sprinkle the pistachios on it (I decided to keep them separately rather than stirfry it in as the original recipe had it since I had to keep it in the fridge until lunch hour) but it was still good. When I did pour out the pistachios it added that crunch element to the dish :). I think this will be my go-to salad now hehe. OK next on the agenda is AWARDS!! A while back Miss Choc Chip Uru surprised me with three awards and then another one a bit later for good measure! Thanks so much for the encouragement CCU :). I love writing just for the love of it but it’s quite special when someone else acknowledges that they’ve enjoyed what you’ve had to say or show (in photos I mean) so I hope I can pass that onto a few others that I’ve admired from afar :). Winnie @ Eat. Play. Shop. Yes, I have chosen all female bloggers because I guess a ‘lovely’ blog award might be more appreciated by them than the guys I suspect ;). Thanks for inspiring me, ladies! I’m reading The Hunger Games at the moment. I hate having long fingernails – comes from my pianist background and the awful clicking sound when you play the ivory keys with unclipped fingernails. I confess I like eating out rather than cooking in – someone else does the washing and cleaning up :P.
The song on replay at the moment is Addison Road – Sticking with you. This blog has turned 1 years old!! This humble little blog began last winter in the midst of exam preparation as a form of procrastination which has, with your support, grown and evolved itself into a primarily food and photography blog :). To celebrate this little milestone, I wanted to show my appreciate for my readers/friends by giving away a prize that comes from my heritage. 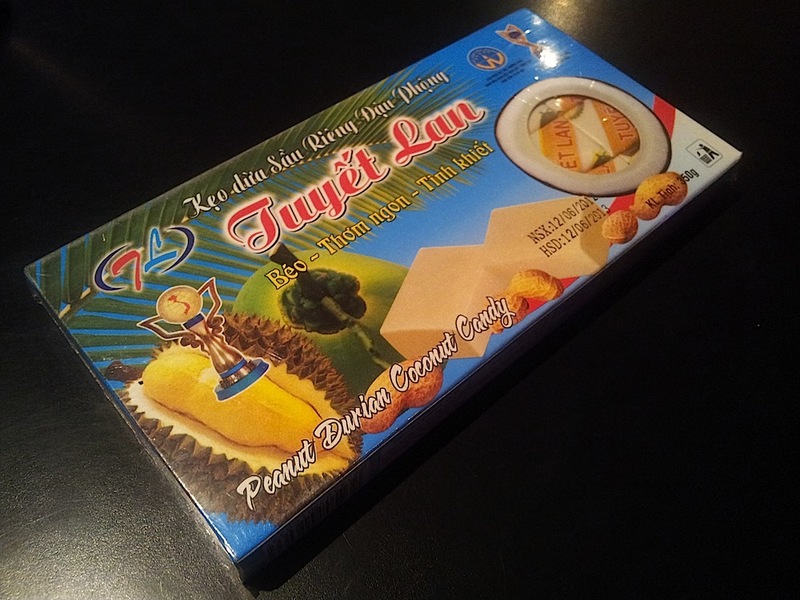 I love peanuts, I love durian and I love coconut so when they come together in little rectangle of candy… *happy sigh*. As you can see from the packaging, this box of sweets doesn’t come around here. I ask my Dad to purchase it from Vietnam when he was there recently so it’s flown a fair distance to get here :). Open to Australian citizens or residents only. Leave a comment below (1 entry). Click ‘Like’ on the blog’s new Facebook page (+1 entry). Follow me (@ames4eva) on Twitter (+1 entry). Mention this giveaway on Twitter (+1 entry per mention: please also add @ames4eva to the tweet so I can make note of it). Now I understand that durian doesn’t fit everyone’s palettes so I understand if some may not be so keen to enter this giveaway, however I do hope that you’ll still support the blog by clicking ‘Like’ on the new Facebook page :). I’ve never done a giveaway before so we’ll see how it goes… Entries closes 14th July 2012, 5pm and the winner will be notified by email and on this blog in the days following. OK, that’s it from me for now! Happy weekend everyone :). 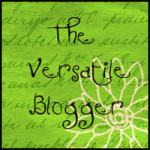 Hello blog-o-sphere! Hope you’ve all been well :). 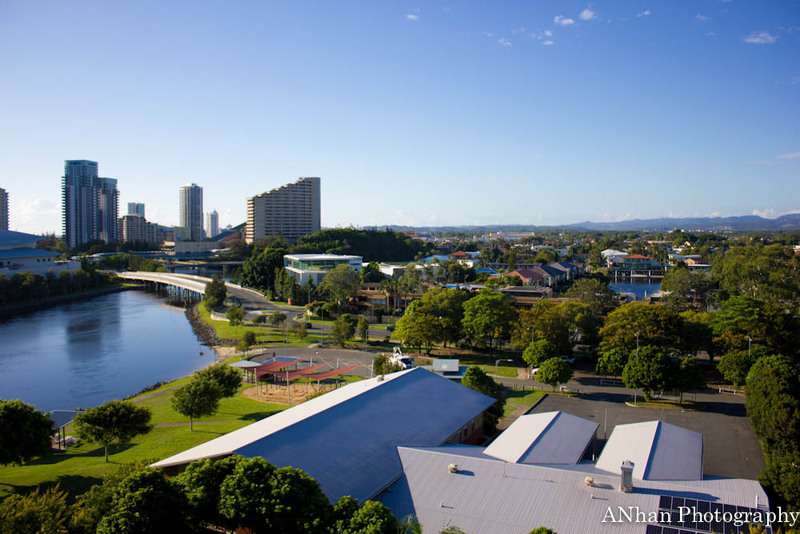 I’ve just returned from a week relaxing up at the sunny Gold Coast! Took so many photos using the RAW setting that my hard drive has overloaded and have a number of food posts in the works however, having less than a week to start my pre-readings I’m afraid things will have to wait around these parts until I catch myself up on real life. I’ve also decided to give up this blog for Lent (along with a full fast once a week) so I pretty much won’t be back until after 1 April 2012! Q: Are you giving up anything for Lent? They are a mix of blogs on food, faith or fun that I’ve been following and I’m sure they’ll keep you in good stead til I return :). Thanks to Subhan Zein for nominating me on 15 February 2012! My knees go red when I’m nervous. I can’t ride a bike (yet). I love anything with berries in it. I flew in a helicopter onto Uluru once. I’ve become a gym junkie (I went 3 times while on holiday!). I’m going to start scholarship tutoring for the first time tomorrow – nervous! I got sucked in by a TVShop commercial and just bought an InStyler – fun times ahead :D.
Hope you’ll join me in a month or a bit if not over at the other blog ;).